Princess Cruises is to air the forthcoming Royal Wedding live on all 17 of its ships. Prince Harry and Meghan Markle’s marriage on Saturday May 19 will be shown on the ships’ top deck cinema screens, in bar lounges and on stateroom TVs. Princess’ ships are positioned all around the world and will beam the event across the ocean, from Alaska to Asia to the South Pacific. 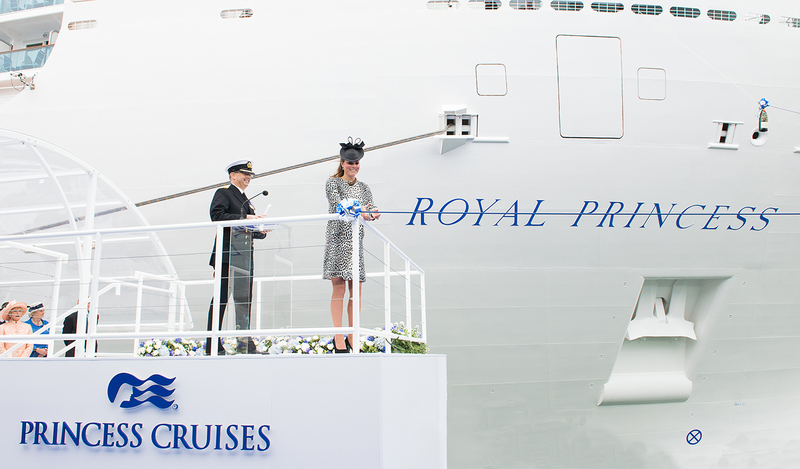 The line’s fleet of ships includes the aptly-named Royal Princess – launched by Prince Harry’s sister-in-law, HRH The Duchess of Cambridge in 2013 – which is currently based in Southampton and sailing round Britain. The ship will call at Greenock, near Glasgow, on the day of the wedding. Diana Princess of Wales, Prince Harry’s mother, launched the original Royal Princess in Southampton in 1984. Sapphire Princess, which is sailing roundtrip to northern and southern Europe, also from Southampton, will be in Livorno, Italy, on the day of the wedding. A host of onboard activities are being arranged to celebrate the nuptials including parties, themed menus and Royal-related quizzes.